Going through my list of sewing projects, I realized I need bias tape for many of them. So I got working on making my own bias tape. I bought a yard of each fabric above from Wal-Mart. Came home to wash and iron them. Then I got working on them. I had purchased a few manual bias tape makers from Joann earlier this year. Never got around to really using it until now. I don’t know why it took me so long to use it. I had a great time making my own bias tape. So. Here’s what you need to know about making your own bias tape, if you haven’t done it before. Technically you don’t need a manual or automatic bias tape maker to make bias tape. A simple measuring tape and iron will work. It would just take much longer to do it that way. My friend, Dana from MADE, has an awesome bias tape tutorial if you want to learn how to make it and what bias tape is used for. The benefits of making your own bias tape is you can turn just about any fabric into bias tape. Although, some fabric will work better than others. 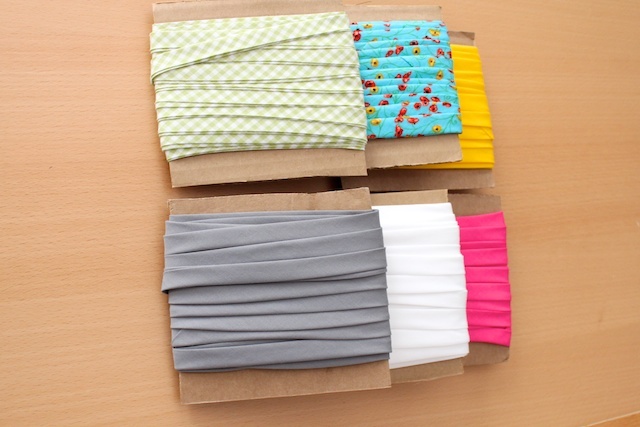 This means you can have cute looking bias tape rather than only the solid color bias tapes they sell in stores. Even half a yard of fabric will yield more tape than the store bought ones. I got about 9 yard of bias tape from half a yard of fabric. If you are making double fold bias tape (bias tape that’s folded in half), make sure one side sticks out more than the other to make it easier to sew later on. I’ve never used an electronic/automatic bias tape maker before, but the manual bias tape makers worked wonderfully for me. I have the 1/2-Inch Tape Maker , 1-inch tape maker and I recently purchased the 2-inch tape maker online. Can’t find the 2-inch in stores, believe me, I’ve checked. I can’t wait to get working on the 1-inch bias tapes (using the 2-inch bias tape maker I just ordered). 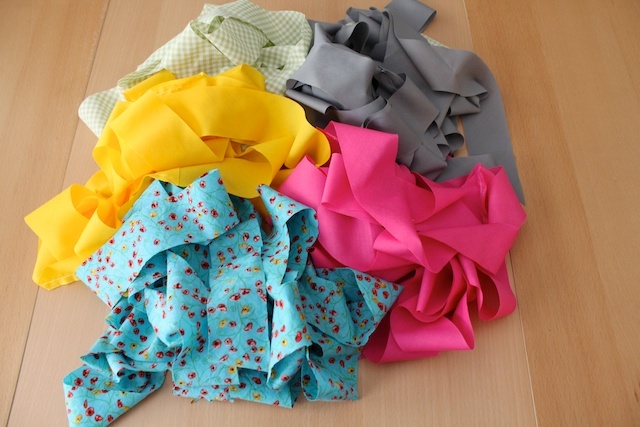 Also next up… Ruffles! I got a ruffler foot for my machine. Can’t wait to start ruffling. I’m thinking of another Skirt Week coming up in the future. » Tell me… Do you make your own bias tape? 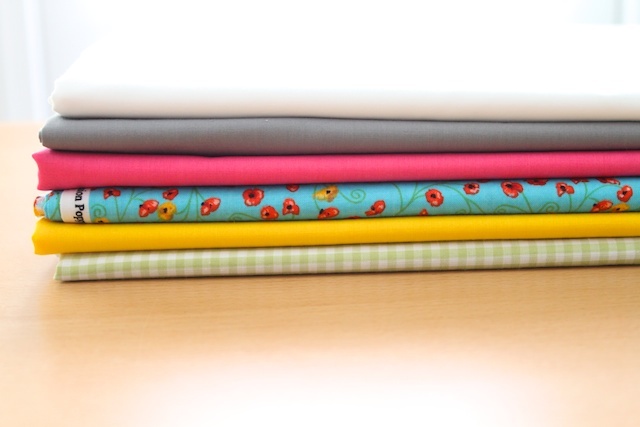 What kind of sewing projects do you use bias tape for? I use bias tape a lot, but I’ve never even heard of making it! I’m definitely gonna have to give this a try! These are so pretty! I need to pick up a one inch bias tape maker the next time I’m at Joann’s. I haven’t made much bias tape yet but think it’s darling for finishing pockets and sleeve holes. So funny! I am making bias tape for a dress neckline and armholes right now! The fabric is too soft to get through my manual bias tape maker, so I’m having to do it the long way. I L.O.V.E bias tape, mainly because I am too lazy to to hems :/. I really want to make my own, but I’m too lazy for that too. But your pretty piles of bias tape have sparked some inspiration, so maybe it will get moved further up my todo list. Thanks for sharing. Such pretty colors! Makes me want to sew a fun purse or something. Cute Tiffany! I have the same Clover bias makers but am scared to try them! I think I might take a leap and try it now! oh you shouldn’t be scared. they are awesome! Thanks Tiffany. Couldn’t figure out what size tape maker to buy, to get the desired width, you solved that . Thanks. 2″ to get 1″ double!